You can buy sample order before mass order to check our quality, we do believe our high quality products will help you to win more orders from your clients. Q4: How to proceed if I want to imprint my logo on the product9 A4: First, you send us your logo file, then we will design a imprint effect images for your confirmation. Do not need to worry about the quality and after sale service, our quality is nearly the best and stable in the same field, and we will always be here to support your business! 4. Priority to get the our latest product information after our cooperation. 1.Q: Can I have a sample order9 A: Yes, sample can be sent to test and check quality. 6.Q: Do you offer guarantee for the products9 A: Yes, we offer one year guarantee for the products. 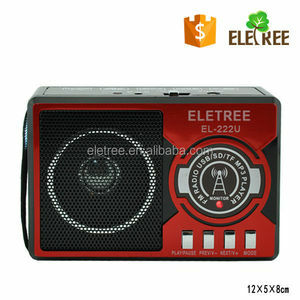 Company Profile: Guangzhou Eletree Trading Co., Ltd. which is located in Canton,our factory is located in Dongguan, has more than 10 year experience in portable radio, home theater, television, mini speaker, sub wooer and other electronic items. We're glad to help you to develop your brand to world-wide send your inquiry details in the below for sample, click " Buy now "! Item no. 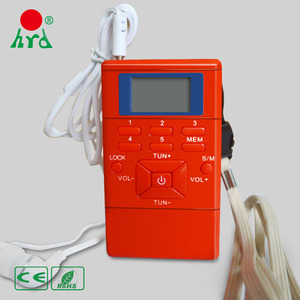 : ZR15 rf wireless micro transmitter and receiver Features: RF integrated circuit design, stable frequency, high sensitivity. Industry: remote control garage doors, rolling gates, automatic barrier, retractable door, sliding door controller, industrial control, etc. At the same time, we ensure that our wireless products and security and protection systems are of the highest standard to meet international market. 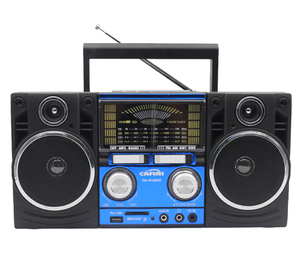 Bluetooth Music Streaming USB Stereo Wireless Audio Receiver Adapter Dongle photo. Welcome to visit our company for business discussion at any time at your convenience. Our products are expanding very fast and well be accepted by consumers all over the world. 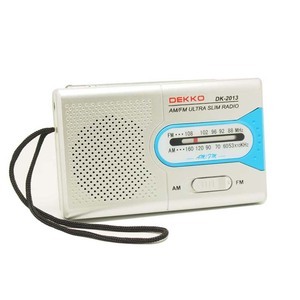 Rechargeable AM FM Radio Receiver with USB Cable Functions 1) Pocket AM FM radio receiver 2) FM:88-108MHZ FM:530-1600KHZ 3) Power supply:DC 3V(2*AA battery)(battery not included) 4)With 5C LI battery 5)With USB charge cable 6) Built-in speaker 7) With Ultralong antenna 8) With earphone jack 9) Color:black and grey 10)Unit size:6.7*2.9*11.8cm Packaging &gt;&gt;Color box for each ,120pcs/ctn &gt;&gt;Unit size: 52*28*50.5cm Detailed Images Advantages "Superior Quality, Competitive Price and Excellent Service" Shenzhen Knstar who specializing in radios for over 10 years,as a factory in Shenzhen,China,there are more than 100 different models here,all of our products export to South Asia, South America, Middle East, Africa and enioy good reputations! welcome to visit our factory and talk details! 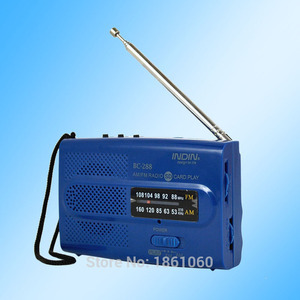 wifi radio receiver internet radio DVB-T2 WIFI Tuner DVB-T Receiver for Android Selling Points: &bull; Support OS: android and IOS devices; &bull; Watching Air live TV Without 3G/4G supporting; &bull; Support HD TV and MPLP format; &bull; Auto finding Wi-Fi account; &bull; Advertisement embedded; &bull;supports 1-many devices to watch TV at the same time. we adopt removable and rod antenna selectable to suit for different application environments, no matter where you watch TV-in home or outdoor. 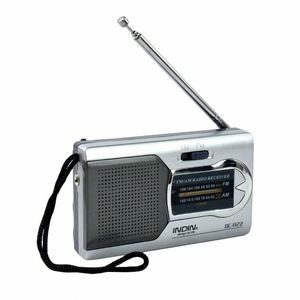 Features: &bull;Support OS: Android 4.2 above &bull;Watching Air live TV Without 3G/4G supporting &bull;Support HD TV and MPLP format &bull;Support 1-many watching at the same time &bull;Retractable Rod antenna.